Apereo CAS has had support to delegate authentication to external SAML2 identity providers for quite some time. This functionality, if memory serves me correctly, started around CAS 3.x as an extension based on the pac4j project which then later found its way into the CAS codebase as a first class feature. Since then, the functionality more or less has evolved to allow the adopter less configuration overhead and fancier ways to automated workflows. Of course, delegation is just a fancy word that ultimately means, whether automatically or at the click of a button, the browser is expected to redirect the user to the appropriate SAML2 endpoint and on the return trip back, CAS is tasked to parse the response and extract attributes, etc in order to establish an authentication session, issue tickets, etc. In other words, in delegated scenarios, the main identity provider is an external system and CAS simply begins to act as a client or proxy in between. In the most common use case, CAS is made entirely invisible to the end-user such that the redirect simply happens automatically and as far as the audience is concerned, there are only the external identity provider and the target application that is, of course, prepped to speak the CAS protocol. Generate the service-provider metadata at /etc/cas/config/sp-metadata.xml using entity id urn:mace:saml:pac4j.org automatically. This metadata is created on CAS startup once the login page is rendered. This metadata is expected to be shared somehow with the SAML2 identity provider. 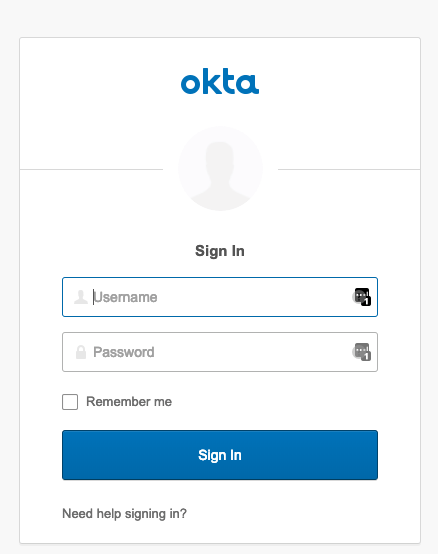 The URL to the identity provider metadata is also taught to CAS; note that in this case, we are using Okta as the SAML2 external identity provider. This is going to be rather interesting because I have also configured my Okta SAML2 IdP to release an attribute named employeeNumber. Let’s see what happens with two systems competing for the same attribute. After authentication, CAS might greet with you with a Hey! You logged in successfully message. Note that this message shows up because we didn’t originally specify a target application, with a service parameter perhaps, when we first accessed CAS. If you expand the link to see attributes currently resolved, you will see everything the identity provider has released to CAS as a service provider. Interestingly, CAS has also merged the values for employeeNumber, effectively turning it into a multi-valued attribute honor both sources of attributes. Note that we are only in the process of fetching and resolving attributes in fancy ways. The decision of which application(s) should receive which resolved attributes may come later, likely to be decided on a per-application basis as part of the registered service definition body and its attribute release policy with CAS. 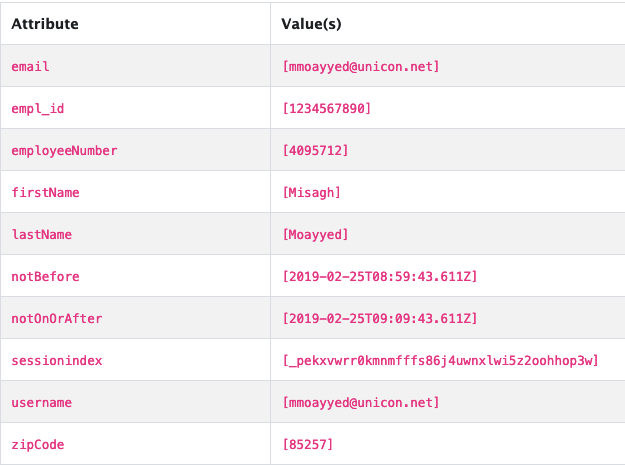 Let’s pretend that we are using the JSON Service Registry to manage our application registration records. On a per-app basis and for a sample test application, let’s make sure our app is authorized to use our SAML2 identity provider in a delegated authentication scenario. For backward compatibility reasons, leaving the allowedProviders as empty does not prevent a service definition for using an external identity provider...yet. 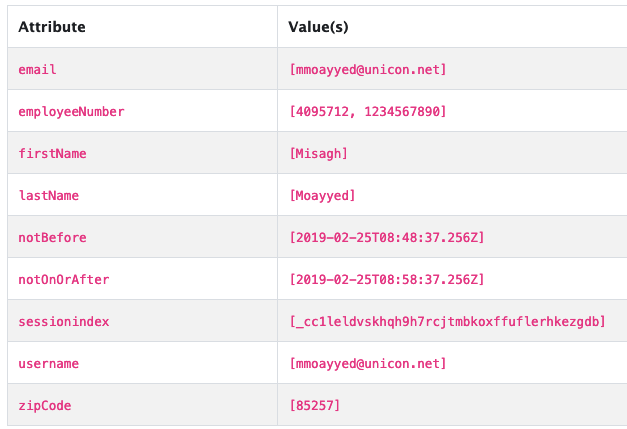 While this behavior may change in future CAS versions, (and you can expect warnings in the CAS logs if you leave this field as empty), you can still stop a service from using delegated authentication by assigning it an invalid/non-existing identity provider (i.e. client name). We know our identity provider is releasing a handful of attributes to CAS. Let’s play around with CAS access strategies and design a rule for our example application to only grant entry access to the application if CAS has access to a memberOf attribute with a value of Administrator. We know of course that the identity provider is not releasing this attribute yet, so we promptly should be greeted with a Sorry you are not allowed to proceed type of error message. Learn how to extend the Spring Webflow model to add custom fields to the CAS login form and the authentication process and take advantage of the additional user-provided data in customized authentication handlers.